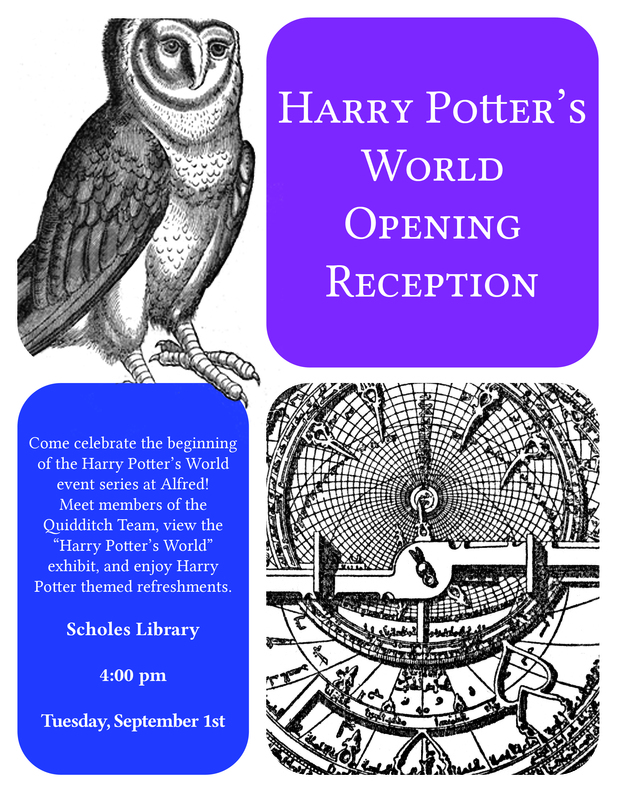 Be sure to come by the Scholes Library this coming Tuesday, September 1st, for the official Harry Potter’s World opening reception! Come see the “Harry Potter’s World” exhibit that’s traveled here from the National Library of Medicine, the curious items from our collections that we’ve pulled out of Special Collections to accompany it, and the Harry Potter themed displays we’ve put up in the entryway. Come meet members of the Quidditch Team and learn about what they do, grab your own Hogwarts acceptance letter (if you don’t have one already), and, of course, eat food. Delicious, Harry Potter themed food. We’ll have butterbeer, chocolate frogs, cauldron cakes, fruit jellies, and much more. 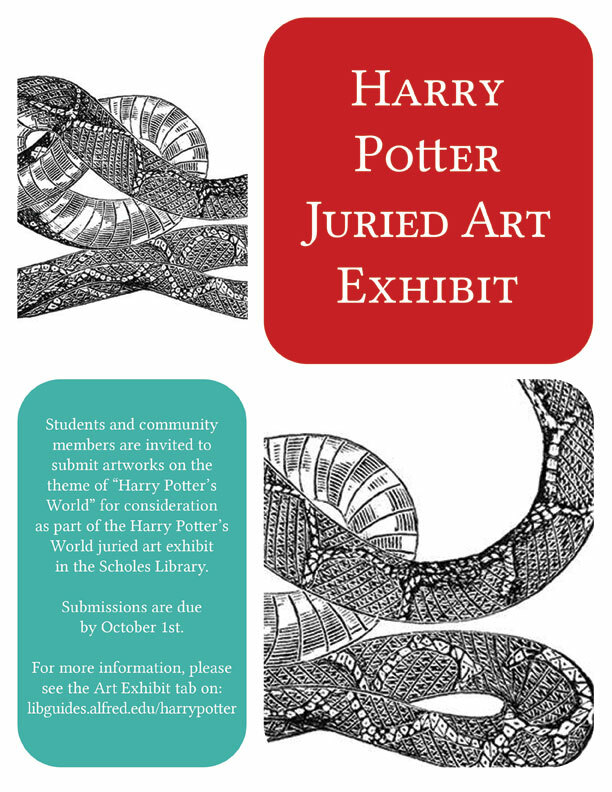 We are officially accepting submissions for the juried “Harry Potter’s World” art exhibit, to be hosted in the Scholes Library’s pop-up gallery! Students, staff, and community members are all welcome to submit their artworks for consideration. We’re being fairly flexible with the theme here, so exercise your creativity in the way you see fit! You may want to submit a work of art that literally depicts something from the world of Harry Potter, of course–there’s so much visually interesting material to choose from. Perhaps you have an idea for an alternate cover design for one of the books; there are many other examples that might provide inspiration. But maybe you want to get more conceptual with it, and that’s great, too! There are all sorts of fascinating themes, such as invisibility, metamorphosis, alchemy, or flight. Hope to see some interesting works coming in soon! 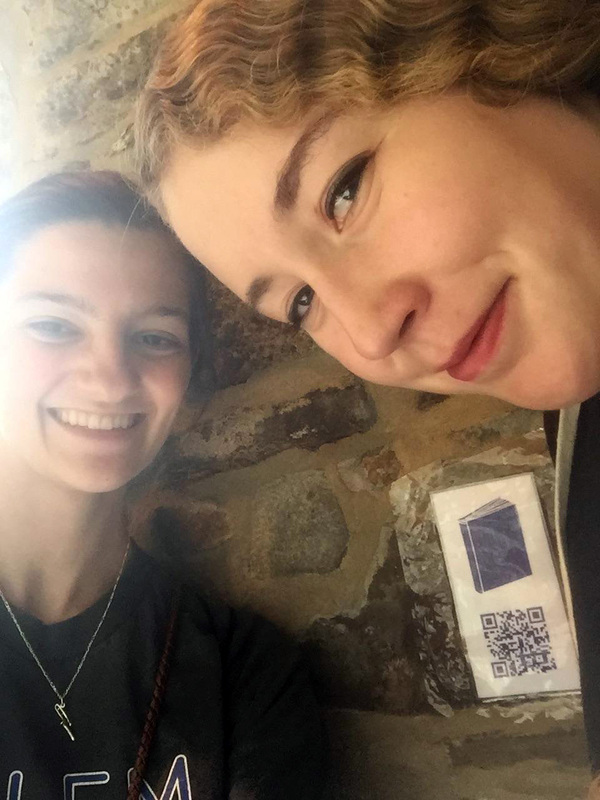 This Saturday, a group of incoming freshmen familiarized themselves with the campus in a new and challenging way–by tracking down horcruxes in the Horcrux Scavenger Hunt, the first event of the Harry Potter’s World series. 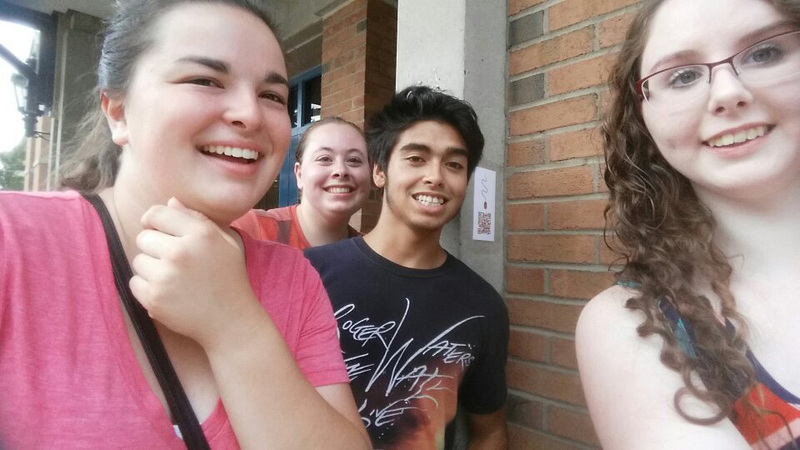 Arranged into five (randomly named) teams–The Bludgers, The Grangers, The Snapes, The Broomsticks, and The Lupins–these students raced each other around Alfred University, using a set of seven clues to track down the hidden horcruxes, based on the magical artifacts from the sixth and seventh Harry Potter books. To get credit for finding each horcrux, they had to take a picture of the entire team with it and send it to the hogwarts@alfred email account. From where we sat at mission control on that beautiful sunny day, it looked like a blast! Ultimately, the Broomsticks took first place, with the Bludgers and Snapes coming in close second and third respectively. Tom Riddle’s diary was turned into a Horcrux while he was still at Hogwarts, sent back to Hogwarts castle by Lucius Malfoy, and destroyed beneath the dungeons of the Hogwarts castle. 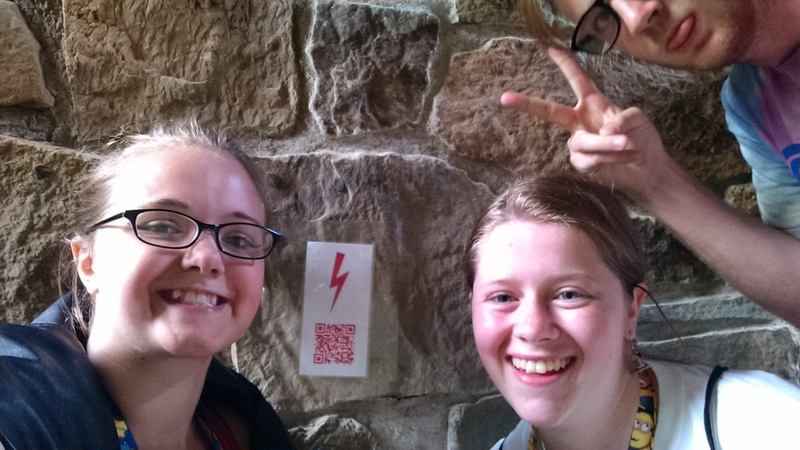 We hid ours on the front doors of Steinheim Castle, where it often proved a challenge for team members to squeeze themselves in for the selfie. From the creation of the Resurrection Stone in the 13th century to its placement in a gold setting as it was passed down through the family, Marvolo Gaunt’s ring was a piece of jewelry with a lot of history. 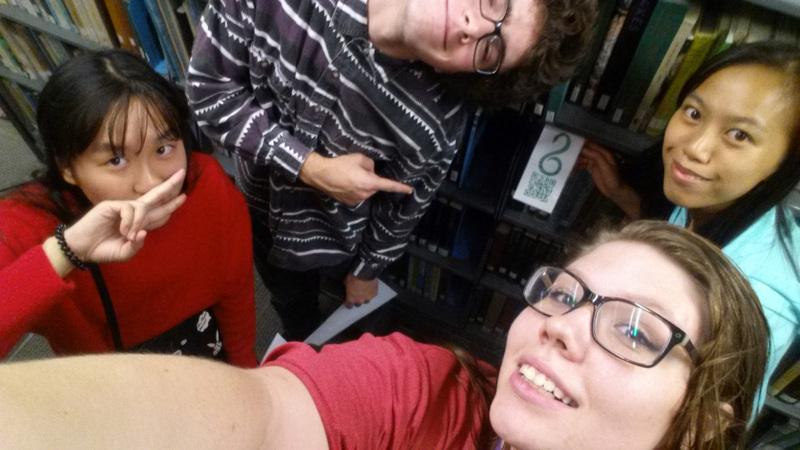 We decided to hide it next to the book Jewelry Through the Ages in the Scholes Library. This turned out to be the trickiest one by far! In Harry Potter and the Half-Blood Prince, when Dumbledore and Harry finally succeed in retrieving a locket from the cave where Voldemort hid it (at great cost), they discover that it’s a fake, and that a note has been left by someone who switched it out with the real horcrux, intending to destroy it. 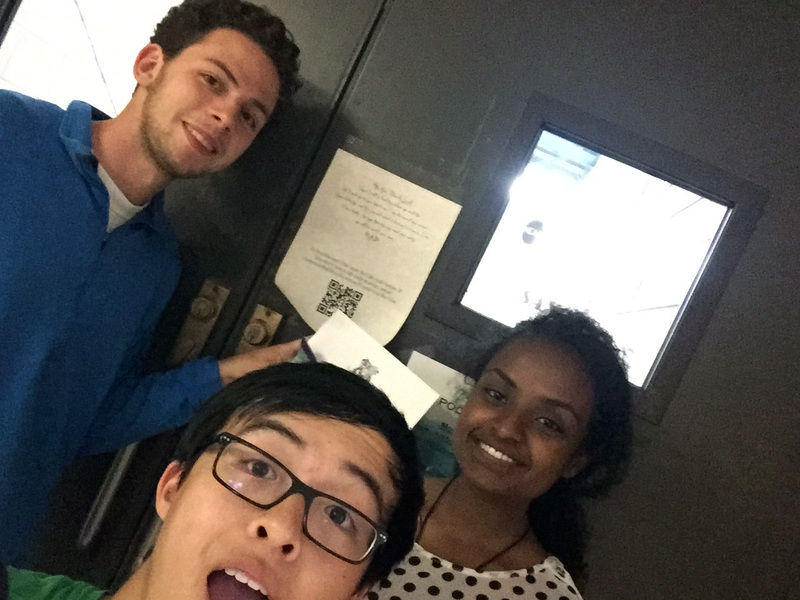 We wanted to add in some of that sense of crushing despair, so put our own note from “R.A.B.” up on the swimming pool doors, directing students to follow yet another clue to the real locket. And hopefully, a sense of great elation when teams actually found the real locket on the Powell Campus Center. There’s always time for a good pun, right? Harry, Hermione, and Ron have to break into Gringotts bank to retrieve Helga Hufflepuff’s cup. 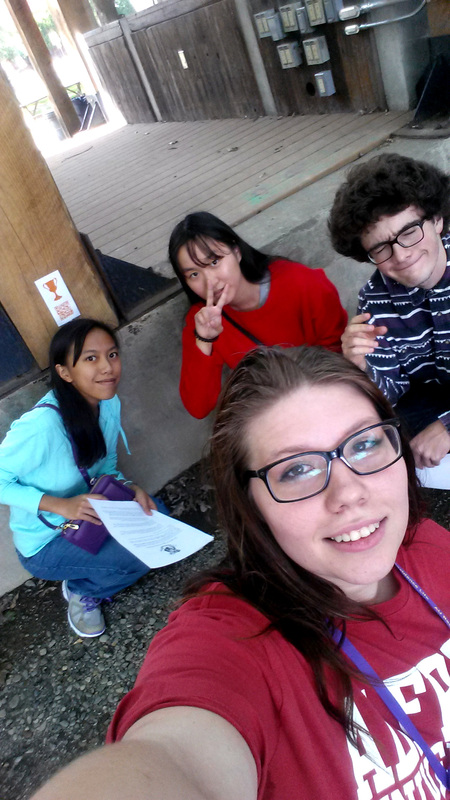 We told students to go looking by the BANKs (you see?) of Kanakadea Creek; specifically, the back of the Village Bandstand! Never let it be said that library events are all about sitting around and reading! 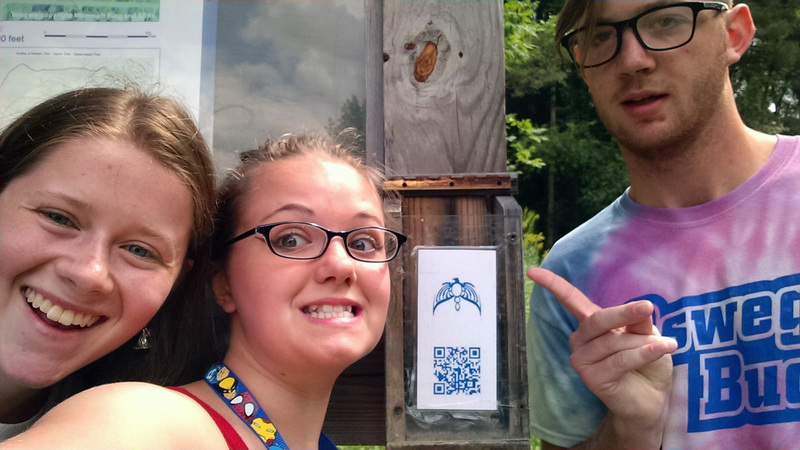 Tom Riddle found Rowena Ravenclaw’s diadem in an Albanian forest, so these students had to trek all the way up to the trailhead at the edge of the woods. The Brick has had the words “Platform 9 3/4” painted on it all summer (maybe longer? ), so obviously it had to be a hiding place. We decided to stick the Harry Potter horcrux under the old arch to bring to mind passing through the brick wall at the station. This horcrux has found you! (And how unfortunate for you that it has.) 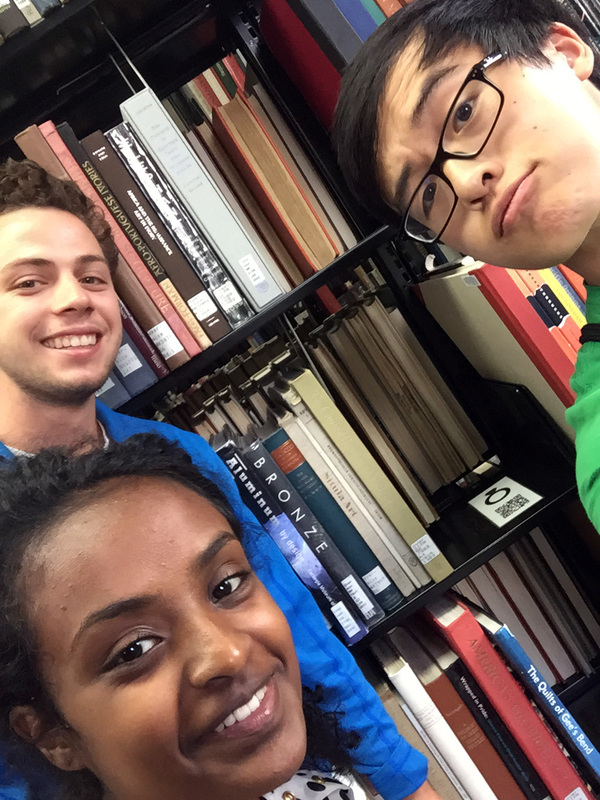 We tucked Nagini in the stacks at Herrick, near the book Snakes in Question.